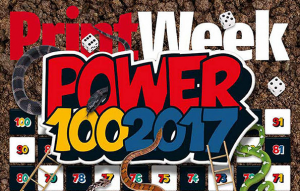 For the past four years, David Nestor, Managing Director of First 4 Group has been listed in the top 100 of Print Week’s Power 100, a comprehensive guide to the print industry’s most influential individuals. Year on year David has successfully climbed higher in the rankings showing his commitment and determination to make First 4 Group the highly successful company that it is today. The write up highlights David’s lead on their first ever acquisition of Vitesse Mailing Preston in 2016, which saw another hugely successful year for First 4 Group. Congratulations to David on this fantastic achievement. View the entire Power 100 list.